Multiple methods to measure household food waste have been proposed, but little is known about their validity. In this study, five methods are compared empirically: general survey questions, diaries, photo coding, kitchen caddies, and weekly survey. 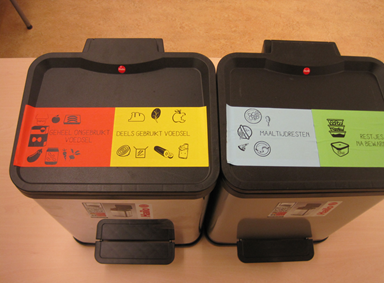 In an experiment, participant are asked to assess their food waste using different measurement methods. Overall, the general survey questions appear to be less valid, as these lead to large underestimation of the level of food waste, low variance in reported food waste across households compared to the other methods, and low correlations with other measures. The other four methods are relatively highly correlated. A survey about food waste in the past week appears to be a useful method for large-scale measurements to differentiate households according to the amount of food waste each produces, although it should be noted that this method underestimates the amount of food waste. Kitchen caddies and photo coding seem to be valid methods and, for small samples, provide alternatives to food diaries, which have been more commonly used. If you are interested in this paper, you may also want to read: A picture says it all? The validity of photograph coding to assess household food waste. Blog post "Comparing wasted apples and oranges. The measurement of household food waste."